A quick one for tonight, I have to wake up at dawn again tomorrow morning and then it'll be run, run, run, all day long. I adore greens and I couldn't resist picking this Essence up when I was at Ulta last. It's caled Walk On The Wild Side and it's a gorgeous dark shimmering olive green. The formula was perfect and really well pigmented. 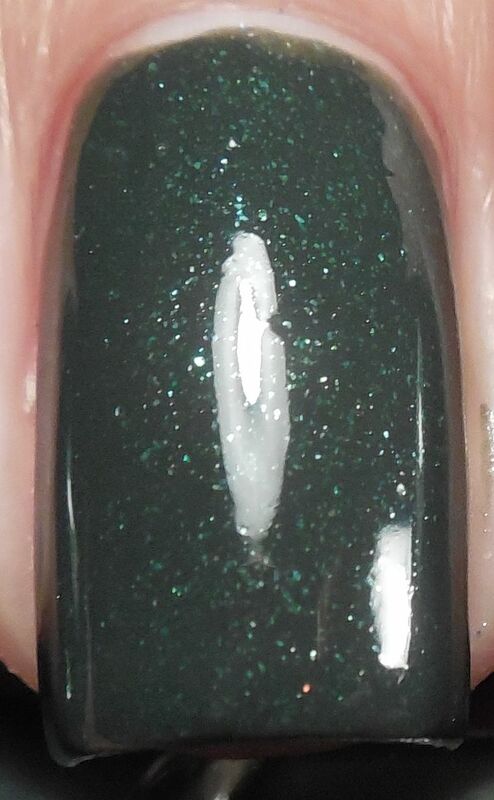 I only needed two thin coats to get full opacity and it had a pretty great shine on it's own. I didn't like the brush however - I've complained about it before I'm sure - it has a really wide brush and it makes it difficult to maneuver it on my narrower nail beds. I decided to try another untried and use Pahlish's Stroke Of Luck over it. 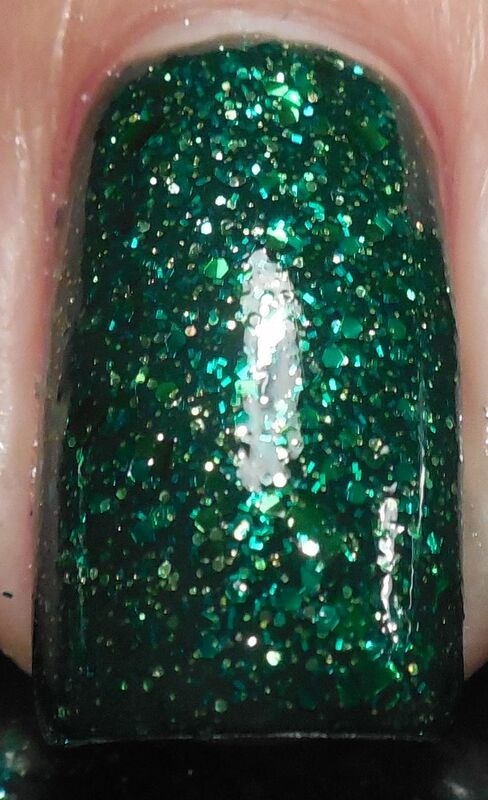 Stroke of Luck is a stunning multi sized green glitter mixed with gold microglitter in a sheer green base. I had no trouble with application and used two coats followed with topcoat. I don't think Stroke Of Luck could be worn with its own because the base is too sheer. Instead of using green as a base next time, I might try gold and see how it turns out.